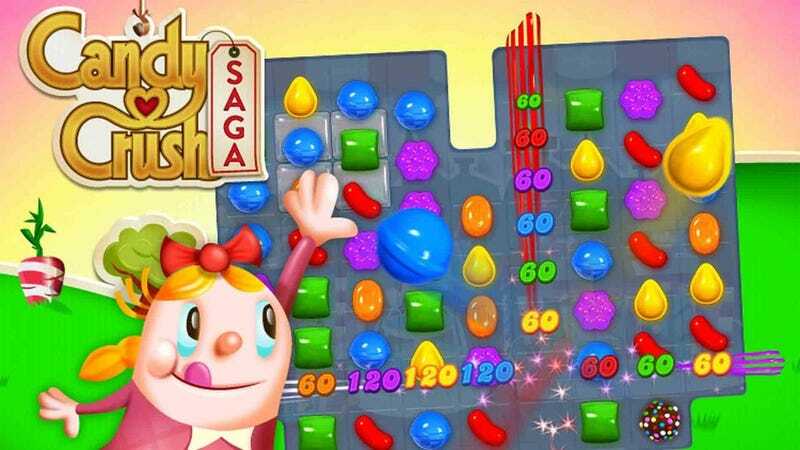 The makers of Candy Crush Saga have issued a lengthy defense of their actions, with regard to a couple of notorious trademark applications and allegations it deliberately cloned a game whose makers reached a deal with another publisher. "Our policy is to protect our IP and also respect the IP of others," writes Riccardo Zacconi, King's CEO and co-founder in a statement appended to his company's corporate site today. "Like any responsible company, we take appropriate steps to protect our IP, including our look-and-feel and trademarks. Our goals are simple: to ensure that our employees' hard work is not simply copied elsewhere, that we avoid player confusion and that the integrity of our brands remains." King in the past week has attracted intense criticism and derision for its pursuit of trademarks to the words "candy" and "saga" as they apply to video games. its opposition to the trademark application of The Banner Saga (a game completely different from Candy Crush Saga) and, lately, its publishing of a flash game called Pac-Avoid, which was accused by the developer of a similar game of being a deliberate clone. King removed Pac-Avoid from its flash games portal as that controversy boiled up. In the statement, Zacconi concedes that "we should never have published Pac-Avoid," and apologized "for having published it in the first place. "Let me be clear: This unfortunate situation is an exception to the rule. King does not clone games, and we do not want anyone cloning our games," Zacconi wrote. "Before we launch any game, we do a thorough search of other games in the marketplace and review relevant trademark filings to ensure that we are not infringing anyone else's IP. We have launched hundreds of games. Occasionally, we get things wrong. When we do, we take appropriate action." As for the trademarks to "Candy" and "Saga," Zacconi said that King acquired the European trademark for "Candy" from a bankrupt company and filed for the same trademark in the U.S. "We've been the subject of no little scorn for our actions on this front, but the truth is that there is nothing very unusual about trademarking a common word for specific uses," Zacconi says. "Think of 'Time', 'Money' 'Fortune', 'Apple', and 'Sun', to name a few. "We are not trying to control the world's use of the word 'Candy;' having a trade mark doesn't allow us to do that anyway," he writes. "We're just trying to prevent others from creating games that unfairly capitalise on our success. As for why that requires King to oppose the the trademark of a very different game whose title uses the same word: "We're not trying to stop Stoic [Studios, developers of The Banner Saga] from using the word 'Saga' but we had to oppose their application to preserve our own ability to protect our own games. Otherwise, it would be much easier for future copycats to argue that use of the word 'Saga' when related to games, was fair play."